Epicurean Butter is currently featured on QVC with a set of Black Angus Filet Mignon. Click through for details and to get yours! You CAN swap unsalted butter for salted butter one-for-one, and we encourage it! 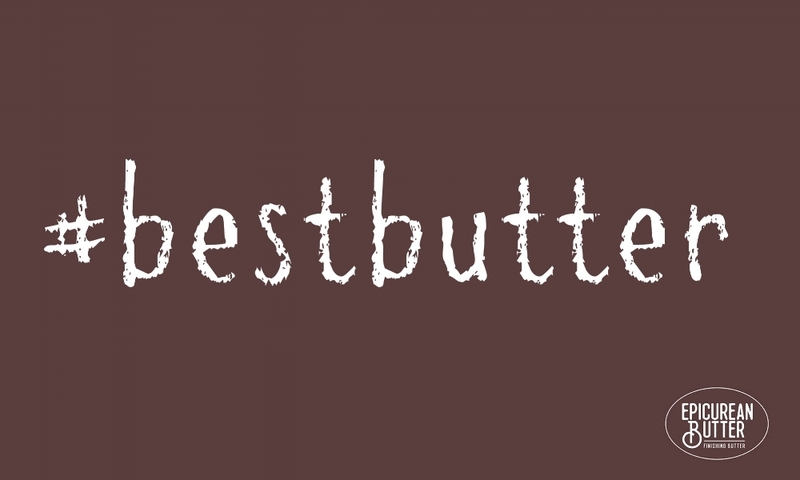 Get all the details on substituting salted butter here. What Is Compound Butter Anyway? The word “compound” is defined as “a thing that is composed of two or more separate elements; a mixture.” Epicurean Butter’s flavored butters are exactly that—compound—because we combine high-quality butter with other high-quality flavors. Last fall, we announced that Epicurean Butter Single Serve Packets would be appearing in Hello Fresh meal kits from time to time, and we’re happy to say that our relationship continues into this year’s summer months with the recent Prosciutto-Wrapped Chicken over Truffle Mushroom Risotto meal kit. The recipe was featured in the late May 2018 menu, and, of course, we had to order it for ourselves. For Memorial Day this year, the Epicurean Butter team is trying a new take on a typical meal. Of course, we have to keep the burger (because it is not a Memorial Day feast without one), and we are adding one of our favorite root vegetables, beets! Here on the Epicurean Butter blog, we talk all things butter including serving suggestions, tips and tricks, news, and insights from the Epicurean Butter team. We’re glad you stopped by and hope you will enjoy a little butter today. Want some buttery goodness in your email? Get periodic newsletter updates from Epicurean Butter with recipes, finishing butter serving suggestions, and butter news. We respect your privacy and will never share your email with third-parties.